Calm Acres at Meadow Creek Farm: Donate Now! Follow this link to access the Community Foundation of Carroll County's website (where our fund resides). Scroll the list to locate our fund (Calm Acres). Click the donate now button to make a secure one-time or recurring donation online. Your support is very much appreciated. When you donate, you will receive a thank you from me (here at Calm Acres) and another from the Community Foundation of Carroll County acknowledging your tax-deductible donation. I hope you will feel great knowing that you have helped make this very important work possible for some very deserving individuals. 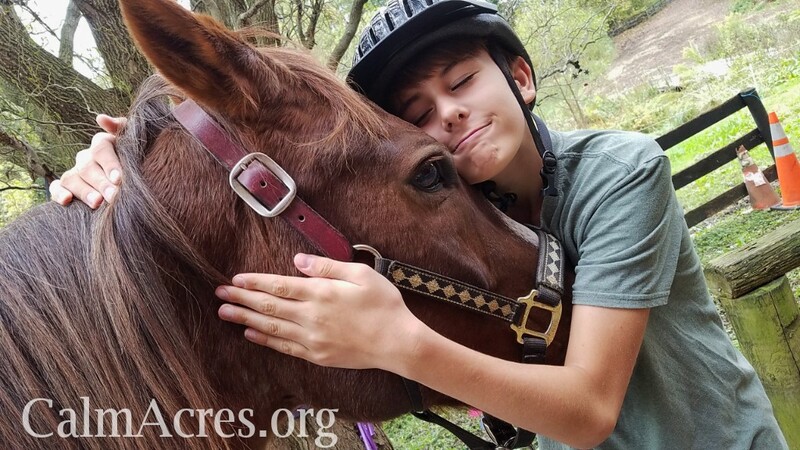 Each tax-deductible donation goes directly to providing customized equine experiences for individuals with and without disabilities. I wish I could express in these few words how powerful this work is and how meaningful it is to each person and their family. Please know that by supporting Calm Acres, you are allowing a person to find peace, solace, triumph and calm. All things that are a human right. Thank you (from the bottom of my heart).